You know what's hard to make by hand? Good presents. Oh, sure, you can whip up any one of the hundreds of crafty present ideas out there and pass those out to wild acclaim or muted gratitude. But what about the kinds of presents that someone will use and appreciate and delight in? What if you aren't a master carpenter or knitter or metalworker? This is what I ask myself any time I decide to give someone something that I made. Will this person actually want this thing? Will they enjoy it in some real way, and not just indirectly through the knowledge that I created it? This Hanukkah I thought about these questions in an even more challenging context. 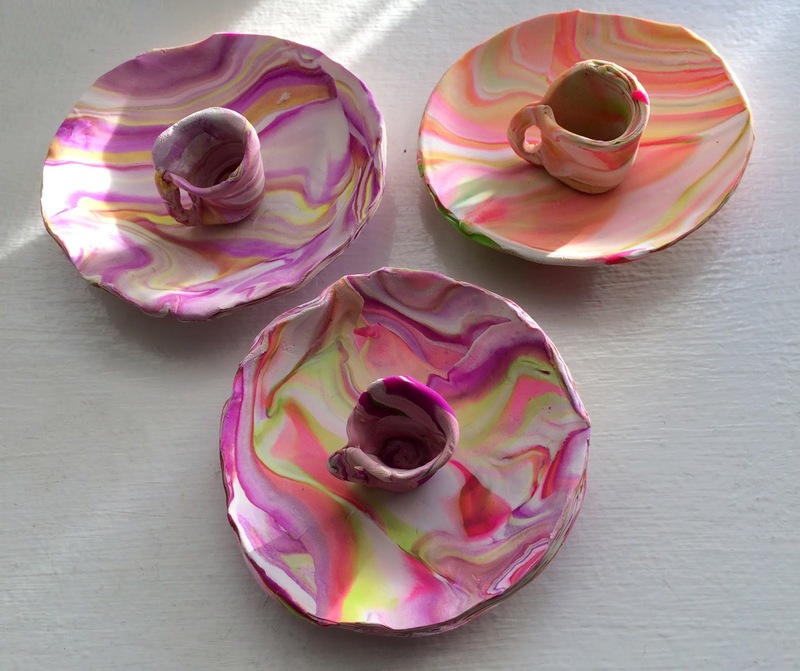 What kinds of useful, gratifying things can kids make for presents - things that require effort and planning, initial failure and then success? This is the first year that the kids didn't simply dash off drawings for each other and call it a day. Instead, I helped them work and make for real. For her beloved American Girl dolls, her brother made her a beautiful, delicate oven-baked clay tea set. He worked from these instructions, picked out colors she would love, and handled all parts of shaping the clay himself. I helped with brainstorming and with the oven (I'm pretty skittish about burns). She does indeed love them and was recently bragging to a friend how her brother had made them for her. 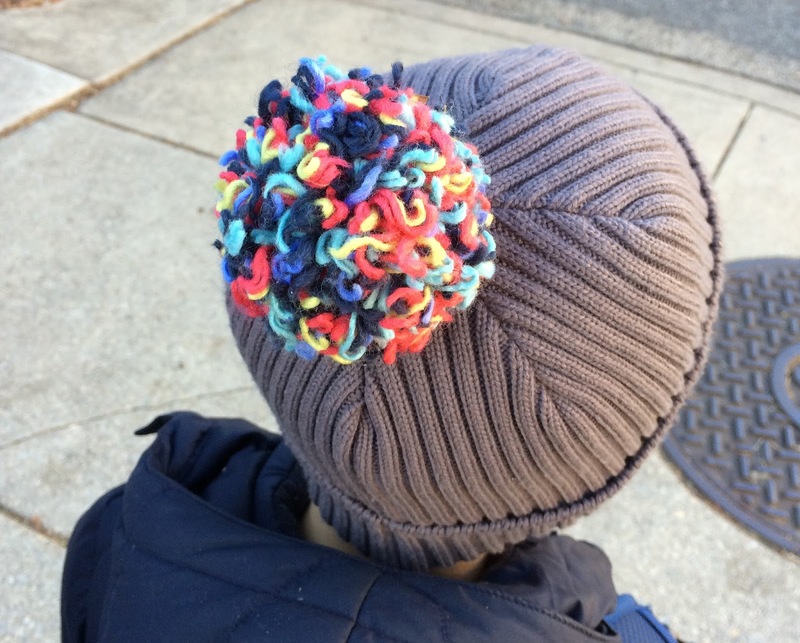 To liven up for the rather drab hat he recently received after growing out of his fun rainbow one, his sister made a pompom - from the old hat. She diligently unpicked the wool, rolled it up, researched how to guides, and whipped up this awesome hat topper. He super loves it. 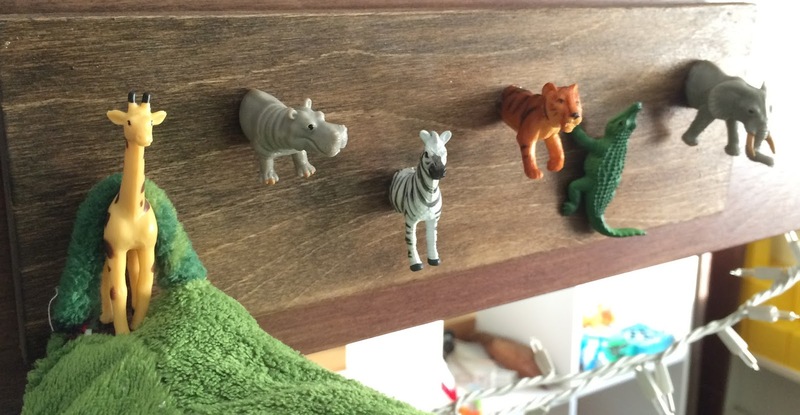 Oh, and I made him a set of animal hooks by cutting a bunch of plastic animals in half with an X-Acto knife (they're surprisingly easy to cut through!) and gluing them onto a board with E-6000 glue. After some stain and poly - voila! Pretty cute and reasonably useful. What did you make for the holidays?